It’s likely that your business relies on communication with customers on a daily basis; therefore, having employees with the right skill set, in order to clearly and effectively communicate, is crucial to the success of your organisation. This Communication Skills Certification will give your employees all of the skills and knowledge that they need, in order to build upon and improve their existing communication skills. 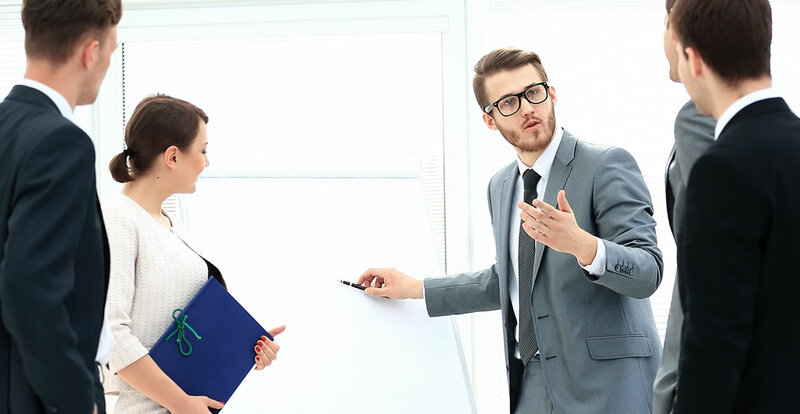 The bite-sized modules of this course offer the team member a wealth of information about different types of communication style, why they are important and how to improve professional and personal communication. Ways in which to elicit both positive and negative feedback and how to use feedback, for continuous improvement. What are the Benefits of the Course? The modular structure of this course allows learners to study at their own pace and continue to work whilst doing so. Module 1: What Is High Impact Communication? The definition and purpose of high impact communication. How to undertake a personal audit and understand your own communication style. How you can communicate to get noticed at work. How you can make a positive impact at all levels within an organisation. How to put people at ease within seconds of meeting them. How to quickly establish rapport. How to detect barriers to communication. The power of body language in high impact communication. How you can make use of multiple sensory channels when communicating with others. How you can overcome your personal insecurities and fears. How you can use body language to overcome the objections of others. How you can invoke the past, present and future to build your message via storytelling. How to structure a message. How to use metaphor in high impact communication. How to ask questions that make people think. How to elicit and respond to positive and negative feedback. How to deal with negative or unresponsive individuals in a constructive manner. How to understand another person's position. How to make a positive impact and elicit action from others. Who can take the Communication Skills Certification course? The course is broken down into 5 individual modules. Each module takes between 20 and 90 minutes on average to study. Although students are free to spend as much or as little time as they feel necessary on each module. Once you have completed all 5 modules there is a multiple choice test. The questions will be on a range of topics found within the 5 modules. The test, like the course, is online and can be taken a time and location of your choosing. How long does it take to complete the Communication Skills Certification course?